The CNN vet has been around the electoral block. 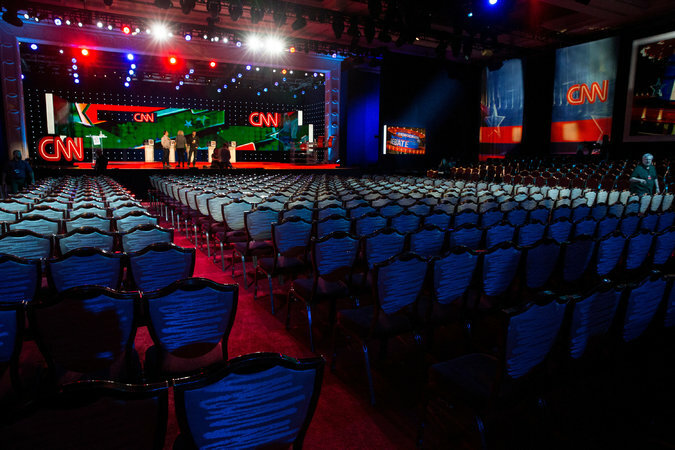 There has been a petition floating around asking CNN to add a moderator from a left-leaning publication to tonight’s debate. That petition isn’t going anywhere, but there is another kind of viewpoint distribution at play in tonight’s debate, in the form of Juan Carlos López. Lopez, CNN en Español’s Washington-based chief correspondent and host of Directo USA, will be questioning candidates alongside CNN’s Dana Bash and moderator Anderson Cooper. The Fix’s Janell Ross posits that the 20+ year CNN and CNN en Español veteran “might ask some of the toughest questions,” based on his extensive and wide-ranging field work that has touched on themes like immigration, drug trafficking, political corruption and domestic and international elections. The latter included reporting on the 2000 U.S. presidential elections and recount controversy and interviews with President Barack Obama, former presidents George W. Bush and Bill Clinton, Hillary Clinton and Condoleezza Rice, among others. López also spearheaded the network’s Voto Latino coverage and events for 2012 and 2014 and continues to do so for the 2016 cycle. In an interview with HuffPost Voces, López said that the political leanings of candidates were less important for Latino voters than candidates’ stances on issues like immigration, adding that it was Mitt Romney‘s remarks on self-deportation, rather than his party affiliation, that led the Latino electorate to vote for Obama in such overwhelming numbers in 2012. On that basis we can expect tight issues-based questions from López.